If there were eggs in the nest, at least one of the pair would standing by, watching for predators, like in this photo. Eggs should be laid very soon. 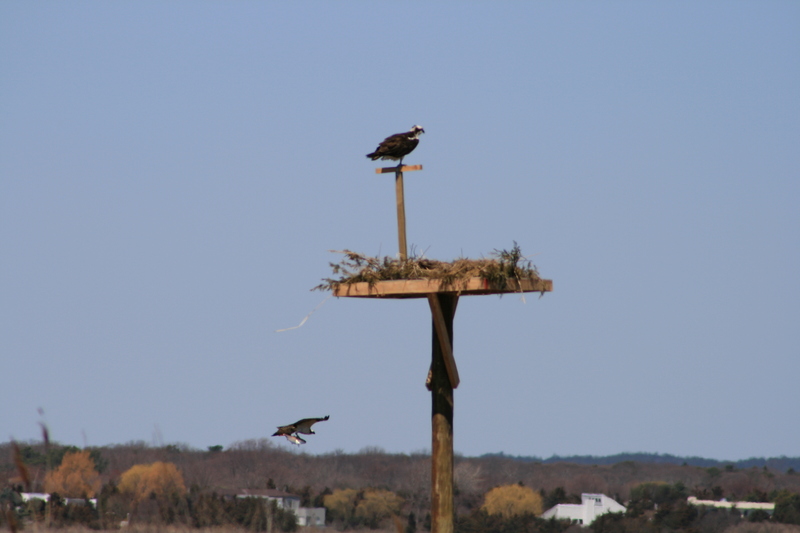 This entry was posted in Life and tagged eggs, nest, Osprey, raptors. Bookmark the permalink.